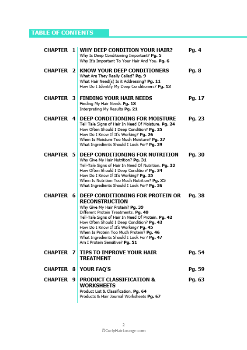 The 70+ page digital guide that finally puts an end to your doubts and tells you everything you ever wanted to know about deep conditioning your curly tresses. Pure information split into 9 different chapters. 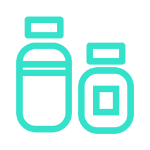 A list of 21 products examples and their classification. 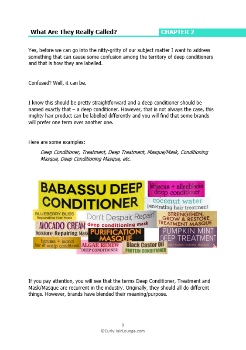 Guide your future shopping and take track your hair journey. Oh!... and did I mention that whenever the guide is updated you get the new version...FREE?! Yah, that's how I roll! 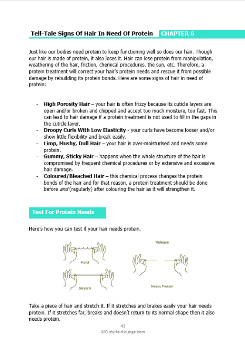 Ready To Counteract Damage & Give Your Curls The Unconditional Love They Deserve? Desktop, Laptop, Tablet, Phone or download & Print it. This guide is a digital guide or as I like to call it an eGuide. 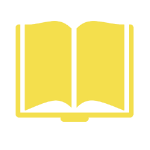 You will get access to a PDF file, which you can then easily print from home. Alternatively, you can download the file to access it on the go through your PC, Desktop, iPad, Tablet, Phone. You can pay using PayPal or your credit card, it's whatever you prefer. What happens once I pay for my Guide? Once your payment is processed you will receive a confirmation email for the purchase in it there will be a link to your Customer Portal. 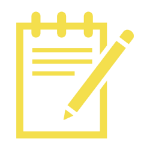 There you will be able to access your guide from anywhere. Make sure you save this email to access your guide in the future! What's your return policy for the Guide? 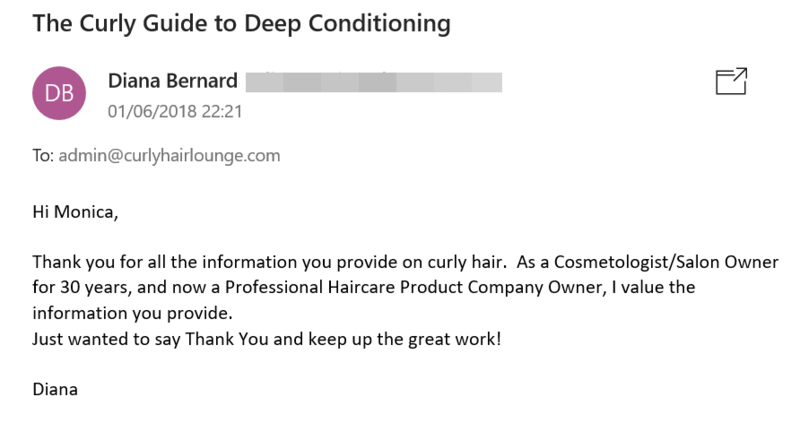 Since a digital download can't really be returned, refunds for the 'The Curly Guide to Deep Conditioning' are not accepted. Who do I contact if I have a question or any problems? 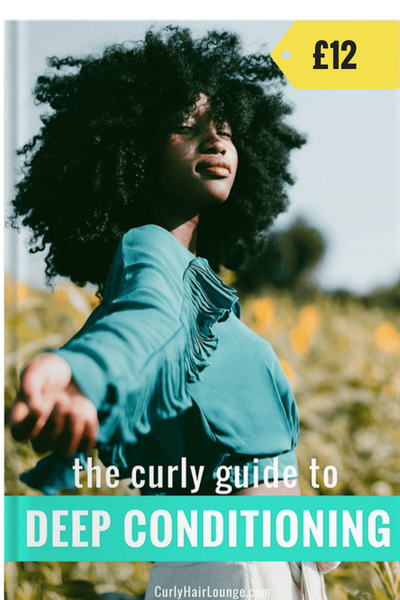 Enjoy your Guide and feel free to give us a shout on Facebook, Twitter or Instagram tag @curlyhairlounge.